Mrs. Hagan, an avid gardener and lover of nature, had the unique opportunity to cultivate her green thumb in an historic greenhouse (that once sat on the grounds at Fallingwater) which she helped to protect and preserve – a tradition we continue today. 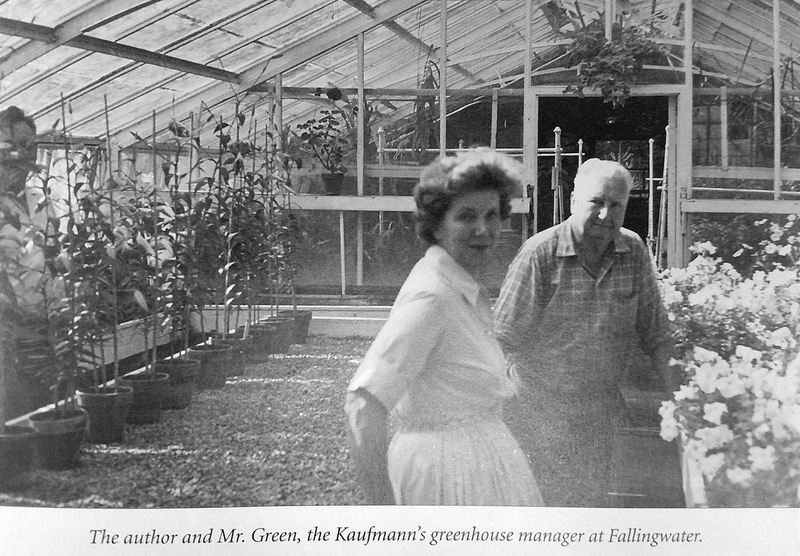 Mr. Green, the Kaufman’s greenhouse manager, ran the beautiful greenhouse full of many species of plants and flowers attached to the gardener’s cottage at Fallingwater. Once Fallingwater was given over to the Western Pennsylvania Conservancy the greenhouse was going to be torn down as it needed much work. A concerned Mr. Green told Mrs. Hagan of this. The Hagan’s went to Edgar Jr. who happily agreed to sell them the greenhouse. It was brought piece by piece to our property in the early 1960s. Over the years, Mrs. Hagan grew a variety of plants in the greenhouse including orchids, bromeliads, begonias and even bonsai trees. In fact, their collection of plants and trees grew to such a number that they began a commercial nursery on the property. 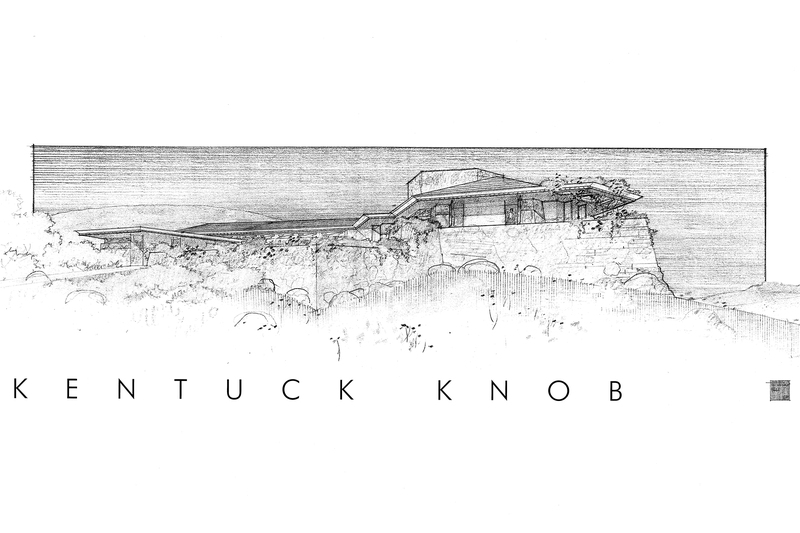 Once The Palumbo’s took stewardship of the property their green thumbs took over. Orchids were grown and even sold in the greenhouse for many years. Guests will visit and reminisce about the days when they would purchase beautiful orchids from the greenhouse. A structure with this much history and that has brought so much joy needs to be protected. 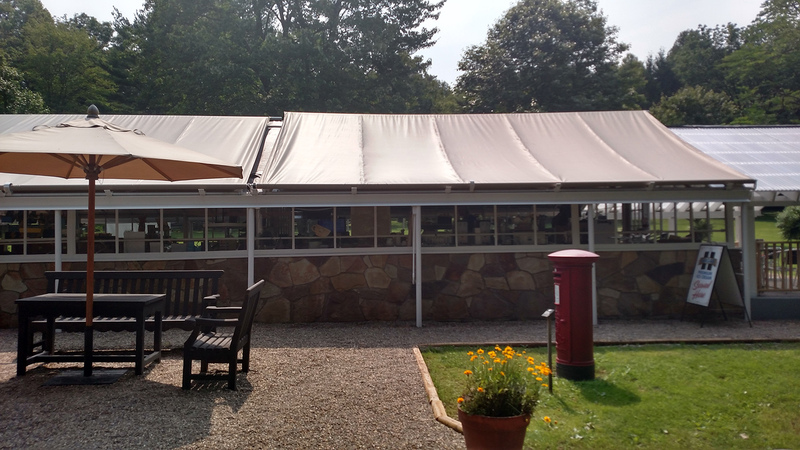 This summer we underwent a complete restoration of the greenhouse. The main project included removing all of the old glazing on the 48 vertical windows (not including those that make up the roof structure). They were then sanded, glazed, and re-painted. Several glass pieces needed to be replaced. Also, to serve as protection from the sun a new canvas tarp was put in. This project eliminated the water leakage in through the windows during heavy rainstorms. The next project will be to remove the rust from the window cranks and to repaint the interior. 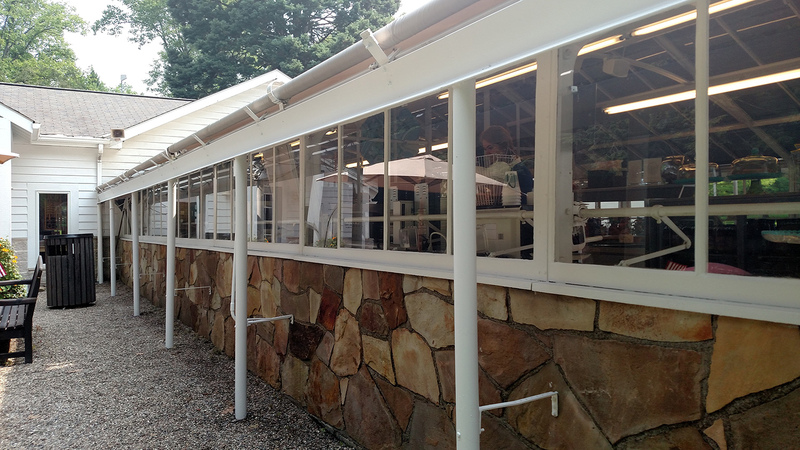 Today, we use the greenhouse as a part of the Gift Shop and to house our Greenhouse Café. The Hagan touch is still inside in the form of delicious hand dipped Hagan Ice Cream!